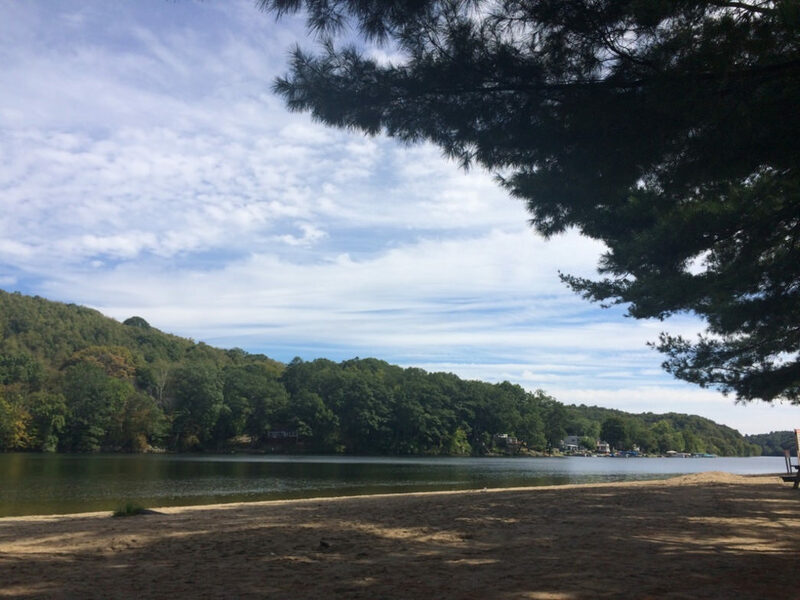 Indian Well State Park is great for those who are love to kayak and have some experience on under their belt, but the western banks of the Housatonic is also a amazing place for learners who want some thrill and experience. The Housatonic River from the Indian Well State Park is quite beautiful in scenery. Indian Well State Park is located on the Western Banks of the Housatonic river. Within the state of Connecticut Indian Well State Park is located halfway between Stevenson Dam and Derby Dam, which is 3.0 miles from either Dam. Indian Well State Park is rated 3 stars in difficult because it is located on the west bank of the Housatonic River. This causes for difficulty to be varied for different leveled skilled paddle boaters. All paddle boating is done on the banks of the Housatonic River and is subject to tide changes, high currents on days where the weather isn't fair or clear, and dangerous without a life preserver. Paddle boating at Indian Well State Park takes about an hour complete a full circuit around around the west bank of the Housatonic River depending on your speed and skill. Indian Well State Park does have parking some parking fees depending on the days and seasons you visit the park. On weekends and holidays the parking varies between registered Connecticut vehicles and non-registered Connecticut vehicles. For registered vehicles on Weekends/Holidays is $9 and $5 dollars after 4pm. For non-registered vehicles it is 15 dollars and $6 dollars after 4pm. On the weekdays it is $5 dollars for registered vehicles and $6 dollars for unregistered vehicles. However, in the fall there is sometimes no fees when parking at the main parking lot throughout the weekdays. As I enter Indian Well State Park the adrenaline begins from the very first right turn into the main parking lot entrance. The scene is quite beautiful, the railroad tracked entrance with a water front view, the grate with two flashing red bulb lights attached to the ends of it. As you look down onto the track there are leaves covering the tracks, as to seem as if the park as not been disturbed for years by visitors. But that is not the case at Indian Well State Park in Shelton, CT, visitors have come from all across Connecticut state to experience the thrill that is paddling along the Housatonic River. What makes Indian Well State Park great is the condition in which the park is maintained, especially at the boating dock. The Housatonic River is an amazing place to Kayak if you enjoy to do so as a hobby, or if its your first time getting into the water with your Paddleboat. 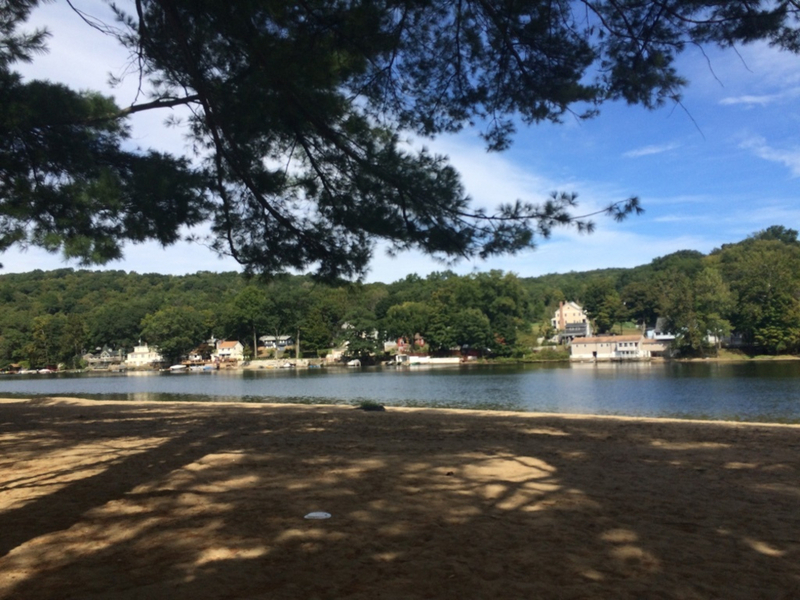 The Housatonic river is built for those who want to paddle along the river shore and see a great scenic view of Shelton’s surrounding nature. This section of the Housatonic River is located between Stevenson Dam and Derby Dam, therefore this makes the river a flat-watered. Flat-water is quiet and steady, making maneuvering along the shoreline a pleasant. On days where the water is not elevated due to weather conditions kayakers will have much easier time pushing their paddle against the current without straining. However, that is not to say that there are no obstacles that surround you. At all times, while going down the Housatonic River shoreline, one must be aware of strainers. Strainers are fallen trees that occur during severe weather. It is advised that while you are kayaking you keep a look out for any obstacles such as strainers, which may put you in a dangerous situation. Indian Well State Park offers a great experience that will have you returning to the park after your first visit. If you love to surround yourself with a community of kayakers, than Indian Well State Park is a great location for you. In the summer you can find a large amount of kayaks paddling along the river. Their different color make the greyish blue water seem quite thrilling, and it inspires in you the courage to go ahead and launch your kayak into the water and enjoy what the banks have to offer. At Indian Well State Park, the Housatonic River offers more than challenging river, it also offers a sense of community and a sense of involvement. There are other local paddle boaters who use the river as a form of recreation and a form of getting those with the same interest together. Indian Well State Park is great for those who are love to kayak and have some experience on under their belt, but the western banks of the Housatonic is also a amazing place for learners who want some thrill and experience. The Housatonic River from the Indian Well State Park is quite beautiful in scenery. As you are kayaking down the Housatonic you will see houses and launching docks from private property. Shelton is a great location for admirable nature. The most prominent feature of Indian Well State Parks nature is pine trees. The smell of pine trees is very present as you kayak down the Housatonic River. For those who like an easy access to a boating dock than Indian Well State is a great location for parking and launching a boat along the coast. In the summer you are in the company of many visitors and local residents. The Housatonic River is a great place for enjoying Mother Nature. It is a great place for families. Children will enjoy the ability to go Kayaking in the river with assistants. To reach Indian Well State Park one can take Route 8 to Exit 14, Route 110 (Howe Avenue) north. As you make your way down Howe Avenue travel 22 miles to the park access road entrance. Indian Well State Park will be on the right with a large sing that indicates you have reached its entrance. Many first time visitors will be confused to where the parking location due to the narrow roads ahead of you. After you enter through the main entrance drive 0.7 miles to park properly at the main parking lot. You will know that you have reached this parking lot because you will cross railroad tracks before you see the main gatehouse towards the parking lot. To park next to the boat ramp you will need to drive to the southern section of the parking lot. The boat ramp section is open from 8am to sunset, as well as the rest of the park. Indian Well State Park has several parking fees throughout the year; however, they are subject to change if the park chooses to. In the months of autumn one can park within the main parking lot throughout the weekdays without getting fees. However, even though some days that the park offers no fees for parking, it is still advised that you do prepare yourself to pay a fee if the entrance gatehouse officer offers one. The parking fees throughout the spring and summer are enforced due to the high capacity of visitors using the beach area of the park. The fees are as follows: On Weekends/Holidays the fees for resident registered cars are $9 dollars before 4pm and $5 dollars. For out of state registered cars the fee is $15 dollars before 4pm and $6 dollars after 4pm. On Weekdays the fee may be a $6 dollars resident registered car before 4pm and $5 dollars after 4pm and $10 dollars for non-registered cars before 4pm and $6 dollar after 4pm. Indian Well State Park does not allow dogs near the beach section or near the boat launching dock at all times. Caution: Currently in the month of September 2015, the swimming area and boating launching area is closed due to a blue green algae bloom outbreak. The shoreline river area will reopen after the outbreak is cleared and further information is given.